Completed in December 2018, this modern saloon in Beijing, China is situated on the 26th floor of a rippling tower designed by Giorgio Armani’s Armani/Casa. Rodeo Connection features sweeping city views, a bucking mechanical bull made from an authentic American cattle hide, a retail space selling unique American-made items, and antique accessories that bring the historical American West culture to life. The story of how this space came together includes a collaboration between Portland, OR based team, Allison Smith Design, and Beijing based developer, Andy Fan. Beyond the design of the space itself, Allison was also responsible for designing custom furniture and procuring authentic Western accessories from the United States. Allison Smith was selected for this project due to the success of the Jackson Hole, China resort community that she designed in 2007. More on this by Foreign Policy, The Atlantic, and China’s Top Design Magazine. When asked to design an American Western-themed restaurant/bar, it was an easy decision for Allison. Traveling back to Beijing for a new project felt nostalgic and fresh all at once. The bones of this building create a perimeter that is all curves clad in glass. The biggest challenge was creating defined spaces that both incorporate the curves and create a backdrop for the Western theme. Allison knew she needed to find the perfect accessories to make Rodeo Connection feel like a bona fide cowboy experience. In exploring the numerous antique shops of Oregon, she collected Charles Russell & Frederic Remington replications, classic cowboy apparel, and taxidermy representative of Western-American wildlife. As part of the high-end, luxurious building designed by Giorgio Armani, Rodeo Connection offers patrons a place to have a unique experience of the Wild West of America in an opulent environment. Serving decadent American-inspired cuisine and craft beer, Rodeo Connection is the first of its kind in China with plans to expand to other large cities within the country. More photos of this exciting space can be found in our Gallery. Let us know what you think! 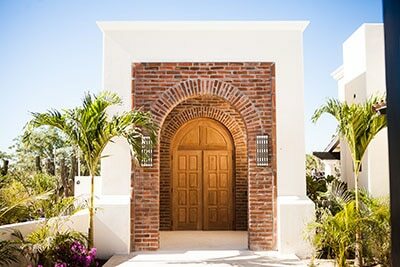 This elegant home in San Jose del Cabo includes sweeping desert and ocean views, a sitting area that “floats” in the pool, and an open-concept floor plan flanked by a courtyard. The story of how this home came together includes a collaboration between Allison Smith Design and San Jose based architecture firm, Cubo Atelier. Beyond the design of the home itself, Allison was also responsible for custom furniture and accessories created in San Miguel de Allende.